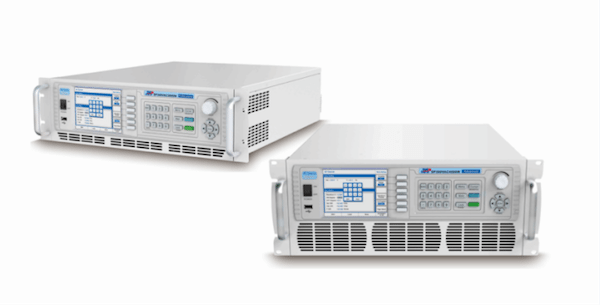 APM offers wide range of programmable AC+DC power supplies starting from 600VA. They also have 3 phase supplies. They are based on high frequency PWM technology and active PFC design. It has touch screen as well as keypad based controls. You can source variety of waveform and also test against various IEC standards. You can program to generate custom waveforms to test variety of devices like LED lights, home appliance, motors , compressors etc. It has variety of interfaces like USB, RS232, IEEE and Ethernet. Optionally you can have facility to set line impedance as well. 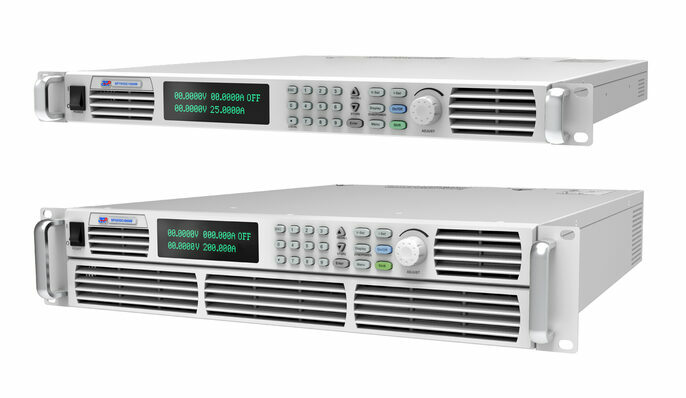 APM programmable DC Power supplies cover wide range upto 800V and 200Amps. These are dual range supplies wherein same supply can give higher current at lower voltage and vice versa. They can operate in CV as well CC mode with OVP, OCP, OPP. Control can be done through front panel or communication ports like RS232, Rs485, USB , LAN or GPIB. You can set time, series of steps to be applied to DUT for automated testing. The range starts from 600 watts onwards. You can use them in series and parallel to achieve higher voltage and currents.